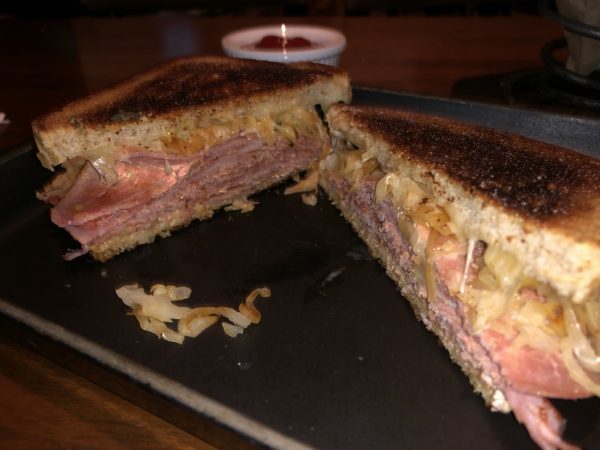 Harvest Kitchen & Bar’s Reuben Review – Wichita By E.B. I love a good reuben sandwich and will typically order it when given a recommendation from someone I trust. 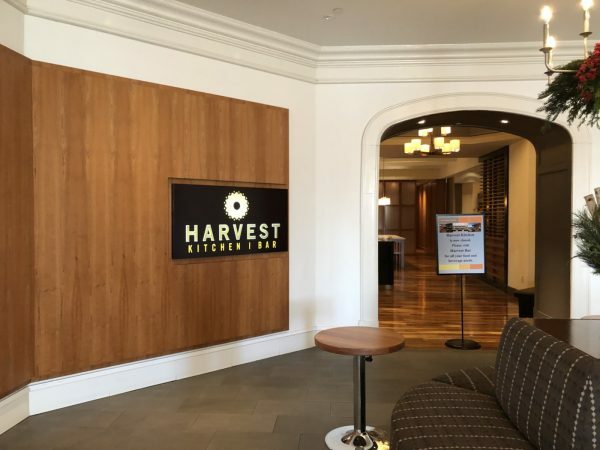 Harvest Kitchen & Bar was suggested recently. “The best” was the description used. So I headed out to the Hyatt Regency where Harvest Kitchen & Bar resides in to give this sandwich a go. 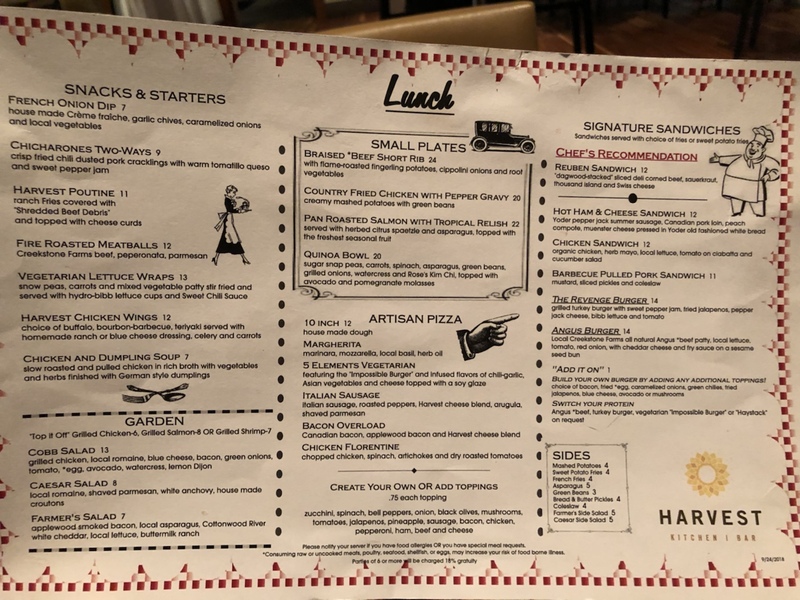 Upon being seated, I wasted no time in ordering the reuben which I was told was the chef’s recommendation and one of the sandwiches they were known for. The $12 lunch came with “dagwood-stacked” sliced deli corned beef, sauerkraut, thousand island and Swiss cheese. It came out in no time and the presentation was spectacular. 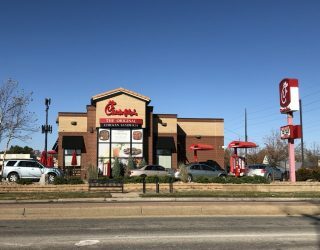 The well-seasoned fries and the homemade pickles were fantastic as well. Everything was off to a great start but then I started on the reuben. There was barely a hint of thousand island dressing inside the sandwich and it was all sorts of dry. Each bite left me craving more dressing along with gulps of water to keep it palpable. My server, who did an excellent job that afternoon, even brought me more dressing which eventually didn’t help much. The corned beef tasted a bit off as it was cured way too long which I’m not sure is even possible. I ended up not even finishing my reuben. After finishing half of it, I came to grips that it simply wasn’t good. 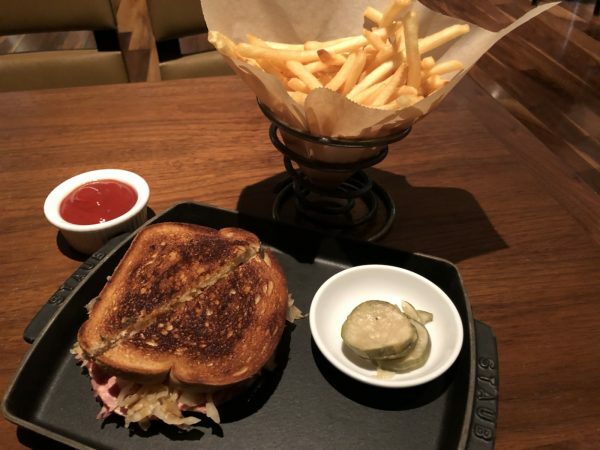 I paid my tab and was ready to move on with my reuben adventures. Two thumbs down over here.